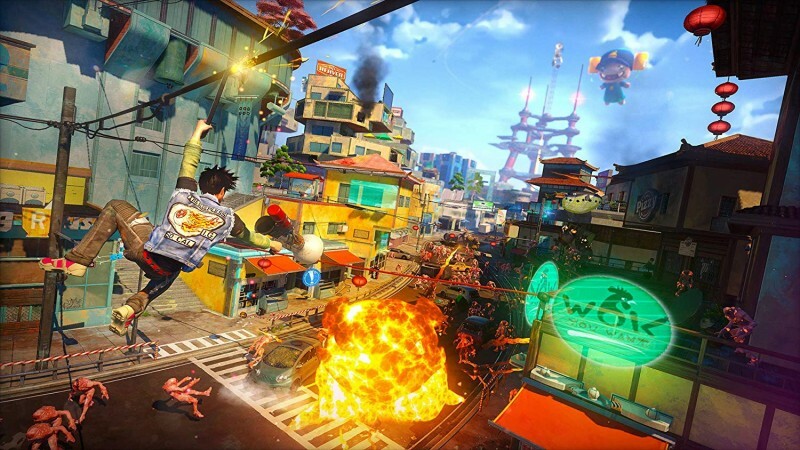 It’s been rumored for years, but a PC release for Sunset Overdrive has finally been shown via a store listing from Amazon. The title had listings from the Korean Ratings Board, the ESRB, and even on Steam, but it has taken until now for real concrete information on the PC version to materialize. The Amazon listing indicates that the PC port will include all the DLC content from the Xbox One release. The release date on the store page shows November 16, only a few days from now, and that it will cost $19.99. Curiously, none of the parties that you would think would be involved in this port have actually acknowledged it. Neither Microsoft, Insomniac, nor the PC version’s apparent publisher of THQ Nordic have confirmed the PC port’s existence, despite the fact that Amazon is taking pre-orders for later this week. THQ Nordic previously announced a deal to bring Xbox One exclusives to PC, such as Recore, so that aspect is not surprising. It is unclear if and when the relevant companies involved will acknowledge the release or if Amazon just happens to be weirdly off-base here, but it appears that Sunset Overdrive is on its way in a matter of days, at least right now.